Monaco, the pioneering payments and cryptocurrency platform, announced today that it joined the Enterprise Ethereum Alliance (EEA), the world's largest open source blockchain initiative with over 400 member companies. Monaco joined EEA to further bolster its commitment to the security and efficiency of blockchain technology and to support the adoption of Ethereum in the enterprise. 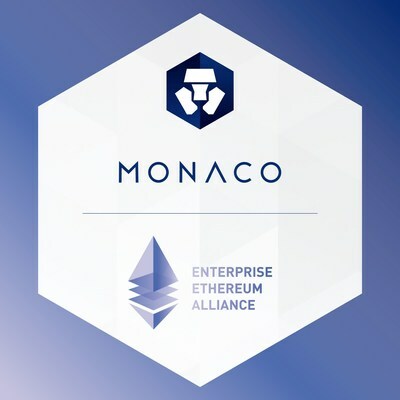 Kris Marszalek, Co-Founder and CEO of Monaco said, "We are delighted to join EEA members from Fortune 500 enterprises, startups, and academics to develop an open-source standard and, in turn, evolve Monaco's services in tandem with advances in public Ethereum. Keeping all businesses with a blockchain component accountable with a robust governance model aligns with Monaco's goal of honest financial products that improve lives."